The digital landscape has changed a great deal since then. Today, a business must have a blog to get their company recognized. However, it is easy to get a company's blog overlooked with so much competition out there. Audience - It is important to clearly identify the audience to whom the company wants the blog to speak. In a business, that audience includes anyone who is a member of the company's target market. A smart business has a marketing plan that identifies those target customers. This information allows the blogger to create posts that target that audience based on what they are looking for. Tone - Think about the tone each blog post conveys. The tone of the entire blog must be consistent and professional. It also needs to embrace the company's personality as well. The blog offers a company the chance to build a relationship with potential customers. Adding blog entries that are unprofessional or radically off-topic will not build that relationship. Think Beyond the Obvious - How can you use a blog post to enhance the chances of someone finding the company's website? The blog offers quality content. Search engines love that. The blog entry should have keywords. Search engines embrace that internal links will help the search engines love web pages even more. All of this helps to improve the blog and website's search engine rankings. Keywords Are Critical - Before making the first blog post, keyword research is essential. Keywords are what people use to find websites of interest. Keyword research will identify the best ones for a company's content. Quality keywords will draw better traffic. Avoid contentious keywords. These are the keywords that everyone wants to use for the highest ranking, but with so many people trying to utilize them, the keywords are almost impossible to rank for. Use derivations of keywords for variety, or long tail keywords. Choose One Keyword - Have a clear keyword selected for each blog post you make. A blogger can use other keywords to enhance the post, but only one is the focus of the article. Use it in a natural way. Forcing a keyword into an unnatural sentence structure can actually count against the blog in the search engine rankings. Use Titles and Meta Descriptions Wisely - A blogger needs to make titles and meta descriptions friendly to Google and social media. When someone searches for something, they are not using witty or cutesy keywords. The title of a blog post needs to be keyword rich and offer a description of the post's content. The same goes for the meta description. One Topic Only- Keep each blog post to a single topic. Visitors have a short attention span. They would rather read three 300-400 word blog posts than one that is 1200 words long. Do not cram too much information into a single post. For topics that are long and detailed, break it up into smaller entries that address different aspects. This offers the opportunity to link them to each other and create more internal links. These tips will help bring a business' blog back on track. With steady application of these principles, your website traffic should start picking up steadily. With time and added content, the traffic's quality should improve as well. 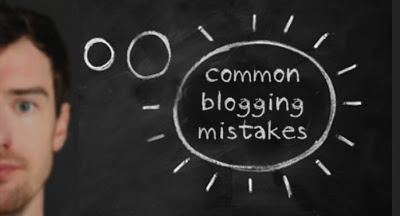 Use these tips to avoid the common mistakes that often mean a blog fails.